Welcome to the Pre-Health/Pre-Law Advising Website! Please feel free to browse and contact us with any questions, Mahalo. Peer advisors that are trained on all the health fields that advise on. All advisors are knowledgeable of the different pathways and resources for pre-health students to achieve their professional dreams! To schedule an appointment with a Pre-Health or Pre-Law Peer Advisor or the Director, click here. Walk-ins are welcomed with Peer Advisors! The Director also has varied walk-in hours, which can be viewed here. Recently, Global leaders met at the United Nationals General Assembly in New York to address what experts are calling one of the biggest threats to global health: antimicrobial resistance. It is only the fourth time in UN history that a health issue has been discussed at the assembly, after HIV, noncommunicable diseases such as obesity, and Ebola. Antimicrobial resistance, commonly called AMR, is when bacteria, viruses, fungi and parasites become resistant to the drugs typically used to treat people infected by them. The drugs, which previously would have cured people of an infection, are no longer effective in killing the microbes. Experts warn that everyone will be affected if nothing is done to address resistance as soon as possible. Drug-resistant bacteria are expected to kill 10 million people a year by 2050 -- that's one person every three seconds -- if nothing is done to solve the problem.For more information click here. This article suggests that spending time outdoors may improve your sleep, by a small study where they observed and took saliva samples from those who camped outdoors compared to those who stayed indoors. It showed that their was a shift in "sleep hormones (melatonin)" from rising around sunset, and the camper's "biological night" kicked in about two hours earlier. This is important because there is evidence that shows that people with 'late' internal clocks face some health risks like obesity, diabetes, depression, and more likely to suffer daytime fatigue and accidents. That's why this study encourages you to get out in the sun when they can each day and minimize bright artificial light at night (cell phones or computer screens). Read more about it here. Can burnt toast and roasted potatoes cause cancer? The Food Standards Agency in the UK launched a campaign Monday to warn about cancer risks linked to eating burnt toast, over-roasted potatoes and other starchy foods cooked at high temperatures. The campaign is based on longstanding evidence from animal studies in 2002, but the link is yet to be proved in human studies. 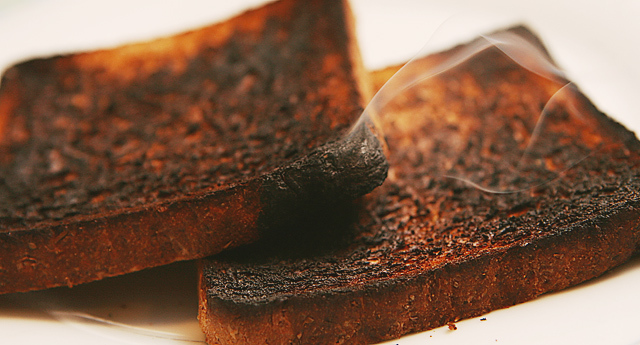 Earlier mouse studies identified that high levels of a compound called acrylamide led to an increased risk of cancer. Acrylamide is what makes bread and potatoes turn golden in color when fried, baked, toasted or roasted. The compound is formed from simple sugars, such as glucose, reacting with an amino acid, known as asparagine, when these foods are cooked at temperatures above 120 degrees Celsius. If cooked for too long, these foods turn from golden to brown and eventually black. As they do, they produce higher levels of acrylamide, further increasing your cancer risk. Read more about it here. In 2010, United Nations peacekeepers introduced the cholera epidemic in Haiti, and since then, approximately 9,500 Haitians died and hundreds of thousands have been sickened; after Hurricane Matthew, the incidence of the disease surged. Cholera is an infectious disease that can be fatal and can spread through contaminated drinking water. In order to compensate those who suffered from cholera, the U.N plans to give about $200 million to the communities and to those who suffered, and another $200 million to help eradicate cholera and to improve sanitation in Haiti. However, “the basic details of the proposed package are still under discussion” as the U.N does not have the funds it needs for the $400 million cholera response package. Read more about it here.